Travis Barker has confirmed that work on the upcoming blink-182 album is certainly going well - so well that they've already recorded over 40 songs (and counting). In a brand new interview, Travis shared "We have over 40 songs recorded - and we’ve never actually recorded that many songs for an album before. But it’s a matter of - I don’t know, our expectations are crazy. And you know, only 10-12 will be on the album. But we’ve got to have those 10-12 that are bangers." He continued "And I think we’re in a place where we don’t really want to repeat ourselves. We’ve done this for so long, we just want the absolute best." 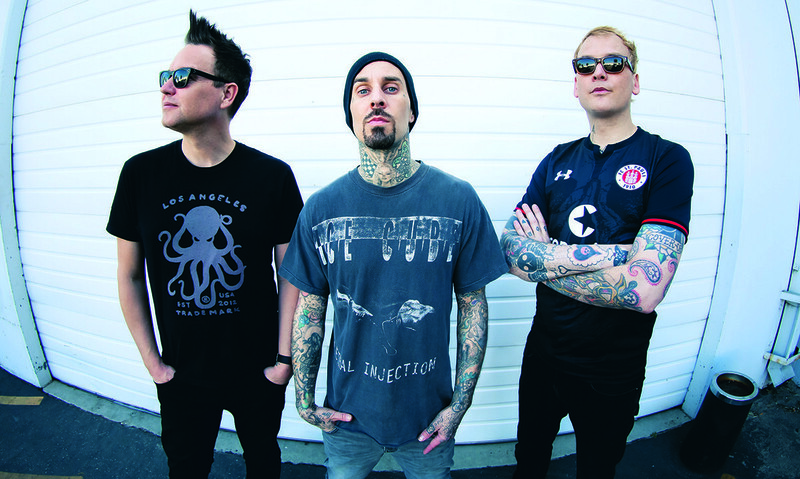 This follows on from the news earlier in the month, where Travis shared that the new blink-182 album will "definitely be out before the Warped Tour".